For anyone who has ever wondered what the Salt Lake City temple looks like on the inside, the Church has made a model of the temple with a cutaway view of all the rooms. See LDS Church shows inside view of Salt Lake Temple through new exhibit. The temple is a sacred place, not a secret one. 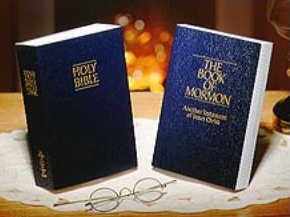 The only reason the temples of the LDS Church are closed to everyone but members in good standing is that it is meant to be a place set apart to do God's holy work, such as joining families together forever in matrimony, vicarious baptisms on behalf of our ancestors who didn't receive the restored Gospel, and for learning, prayer, and reflection. In fact, everyone in the world can experience the temple and have it be a part of their life. All that is necessary is to make the covenant of baptism and live God's laws of sacrifice, chastity, and consecration. I can attest to the blessings of the temple in my own life. I would be lost without the ability to attend. It's the difference between trying to get through life blind vs. having full sight. Temple attendance gives me an eternal perspective on everything I do so that nothing seems without purpose in life. It's as if God lends me a portion of His sight so that I can see the road ahead...and when I cannot, that I can have faith that at some point, He will show it to me. This is not meant to "shock and confuse" anyone. However, my sense of God is that God is not materialistic, as these temples seem to be. Temples cost millions of dollars to build... somehow it seems that money could be better used. You bring up an interesting topic. Thank you. I'd like you to read the following explanation and let me know your thoughts. I was about to type pretty much what this says. There was also a talk by a General Authority on this topic that I will try to track down. I'm paraphrasing here, but the general idea of it was that Temples are built to the standards they're built not out of a desire to be ostentatious or excessive, but as a visible reminder of how much we love God in _addition_ to giving to the poor (see above link). We all dress in white in the temple so that there are no distinctions between rich and poor for all are alike unto God and He is no respecter of persons. A rich man giving to the poor, or a poor man getting charity from a rich man builds each of them from the outside in...a temporary condition at best that we leave behind when we die. The temple, and the covenants we make in them, takes the poor man and the rich man and builds them from the inside out. This is an eternal thing that stays with us after we die.